Should You Forge, Grind, or Waterjet Your Knife Blade Blanks? Knifemaking Supplies . . . to forge, grind, or waterjet . . . that is the question! There are advantages to all three methods. Of course, I would like to see you waterjet your blade blanks, but that is not always the best solution. The advantages of forging your blade blanks include the fact that this method requires very little metal removal. Do your knifemaking supplies include Damascus Steel blade blanks? Most Damascus Steel is made by forge welding. That is not to say that we can't cut a Damascus knife blade blank from Damascus bar stock, but usually the bladesmith will use his forge to create beautiful patterns in the blade steel. This custom design work is accomplished by forging two thin layers of different alloyed steel needed for the forge welded patterns. Ferrous metals are typically the metals that are forged by bladesmiths for knife blade blanks, however, you can forge Non Ferrous Metals. I dare say, the greater percentage of knife blade blanks are made from a stainless steel alloy. The Properties of Stainless Steel allow it to be forged, but it is a very slow process, and nothing is particularly gained with that profiling method. Probably the biggest reason to grind a knife blade blank into the desired shape would be that the process doesn't require a lot of tools. 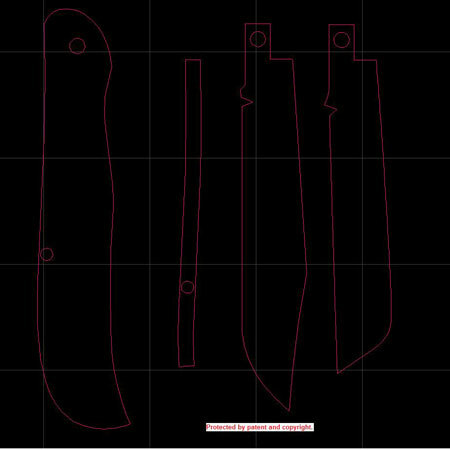 This method of blade blank profiling is called the stock removal method, and is just that, you shape and grind away the stock until you have a knife blade profile that matches your pattern. This can be very time consuming, and require a lot of “elbow grease”, but many knifemakers would not do it any other way. There is something very satisfying to the soul at the end of all that work. Custom made knives can, and many times do come from knifemaking supplies that were waterjet cut. Waterjet cutting blade profiles is an accurate, cold cutting process that speeds up stock removal, and is very useful for increased production, or complicated specialty designs. The blade blanks are still typically beveled and hollowed, and finished by hand. Waterjet knifemaking supplies are probably most useful for folding knives. 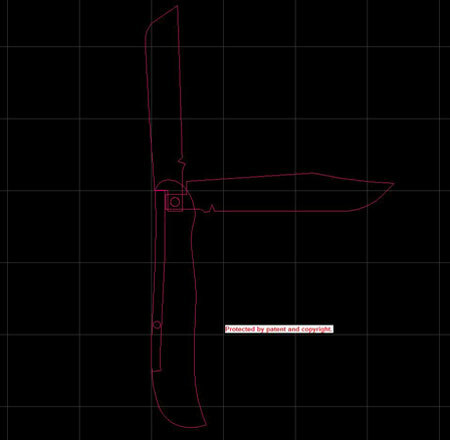 The clearance and tolerances for the blade and its opposing receiving chamber can be better controlled using this method. All of the holes in the tangs, or in the body of the folding knife line up perfectly for riviting, etc. This makes for a very nice, finished product. Afterall, you don't want to put all of your time and effort into a knife that will have a sloppy action.